Marlene Bennett has been in private practice since 1988 combining counseling and hypnotherapy to create a dynamic approach to healing and change. With prior experience in emergency medical management and corporate administration she combines her experience to assist people with challenging trauma issues, critical incident stress, post-traumatic stress and organizational stress. With her extensive experience with the subconscious, she is an expert in teaching how to manage the stress of one's life, whether physical, emotional and/or mental. Ms. Bennett works successfully with individuals by approaching any problem from different perspectives: consciously, subconsciously, physically and spiritually. She uses the latest methodologies to affect the greatest change, is sensitive and intuitive in the direction a client needs to go. It is her belief that change does not need to take a long period of time. Marlene acquired her Bachelor of Arts degree at The Evergreen State College in Olympia, Washington in 1988. She acquired her Masters of Arts degree in counseling psychology from Vermont College of Norwich University in Montpelier, Vermont and is a licensed mental health counselor with the State of Washington. She has taken hundreds of hours of various hypnotherapy modalities and is a certified hypnotherapist through the Puget Sound School of Professional Hypnotherapy. Ms Bennett is also certified as a Master Hypnotist through the National Guild of Hypnosis. She has completed professional executive coaching training through the National Institute for the Clinical Application of Behavioral Medicine and combines her counseling skills and intuitive approach to create a dynamic coaching relationship with executive professionals. 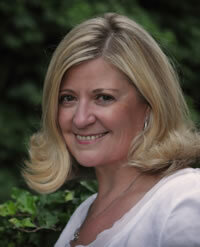 Ms. Bennett has been trained in both level I and level II Eye Movement Desensitization and Reprocessing (EMDR) in 1994. She has many continuing education classes and advanced training in EMDR in the years following the initial training. She continues to be involved in volunteer EMDR trauma and crisis programs for local and national emergency response teams as well as a member of Thurston County's Medical Reserve Corps. She has lectured and given workshops at conferences, organizations and universities across the United States. Ms. Bennett offers workshops nationally and locally in hypnotherapy techniques, trauma counseling and working with women to reconnect and heal their sensual self. She is the co-facilitator of LiveDeeply.us which focuses on teaching men and women how to experience more fulfilling relationships through workshops and experiential events. She brings a refreshing new approach to people who desire permanent change and healing in their lives. Since 1988 Ms. Bennett has worked in private practice using a combination of counseling and hypnotherapy in a full-time business specializing in the following areas:.